On Saturday, February 6, Zach Makovsky will fight the number one-ranked flyweight contender, Joseph Benavidez, at UFC 196 in Las Vegas. And with two custom made mouthguards, Gladiator will be there to help him face his toughest test to date. 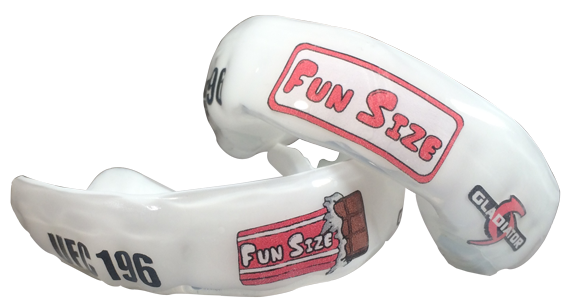 In celebration of the local hero — Makovsky hails from Philadelphia, home of Gladiator — his custom mouthguards for UFC 196 are completely personalized to feature his nickname “Fun Size.” The nickname was affectionately given to him by female MMA pioneer Tara LaRosa. 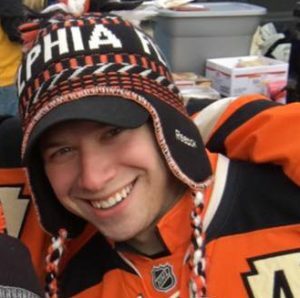 Makovsky — currently 19-6-0 in his professional fights, with six wins by submission and one knockout — grew up in Bethlehem, PA and graduated from Drexel University, where he was captain of the Division I wrestling team. He currently holds a record of 3-2 in UFC fights. Watch Zach Makovsky and his “Fun Size” custom mouthguards from Gladiator this Saturday at UFC 196.